Outdoor pollution is one thing, and indoor pollution is another. Take note of these tips to reduce indoor air pollution. Add more plants to your decor and keep a tab on your appliances to keep a check on the indoor pollution at your home, say experts. Gita Ramanan, Architect and Interior Designer, Founder, Design Cafe, and Anuj Srivastava, Co-Founder and CEO, Livspace, share some tips. Plants not only brighten up a space, but also are a source of fresh air. These Indian plants: Areca Palm, Mother-in-Law's Tongue and Money Plant (all common names) will actually grow fresh air for you indoors. No smoking should be allowed inside homes. Smoking and second-hand smoke are the biggest contributors of air pollution indoors. Ensure you use low VOC (Volatile organic Compounds) paints in your home, which ensure that toxic gases and substances are not released indoors during hot/cold variations in temperature indoors. A common problem that is not addressed indoors is fixing your water leakages. 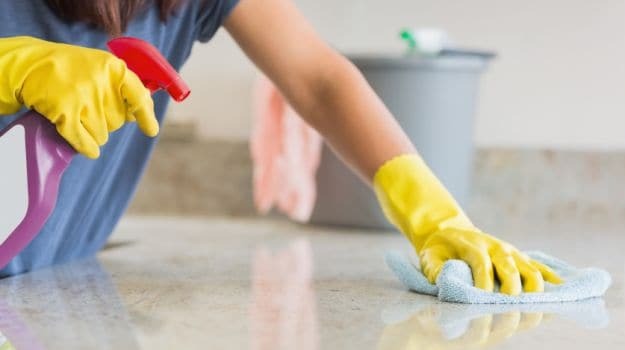 Very often, we ignore water leakages into the home, which then allow the growth of fungus, mould, and mildew, which causes or worsens conditions such as asthma, wheezing, and sinus. Taking precautions such as fixing of leakages, maintenance repairs to prevent loss of heat/ cold indoors, will ensure better air quality inside. Keep a tab on your appliances. Appliances like your refrigerator and oven can emit harmful gases without regular maintenance. Make sure you take up the scheduled services and have a professional look at your devices at regular intervals. Regular dusting is important. Every home is prone to dust and dirt accumulation. While you clean your floors and upholstery regularly, you might miss out on the nooks and corners and also the roof of tall furniture sets. In this scenario, a deep cleaning can reduce the risk of dust particles that can become irritants. Open the windows. The air at home can be more harmful as it can high concentration of pollutants compared to the outdoors. Keep your windows open for 5-10 minutes daily or strategically place ventilation ducts to tackle the issue. Sunlight and ventilation can go a long way to keep you and your family healthy. Another good idea is to minimise the use of pesticides at home. Use bio-friendly products instead. Limiting the number of toxic products you introduce in to your indoor air will also make the space as less polluted as possible.